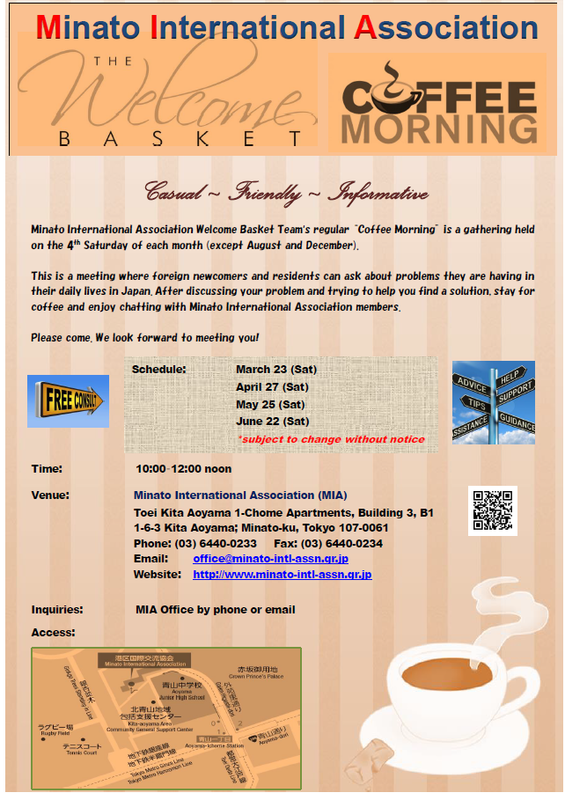 Join us for coffee and enjoy chatting with Minato International Association members. Please come. We look forward to meeting you! Reservations are recommended, but walk-ins are also welcome. *Please send us an email with the following information of yours. ・How long have you been studied Japanese? How’s level? *Please make a reservation prior to attendance. 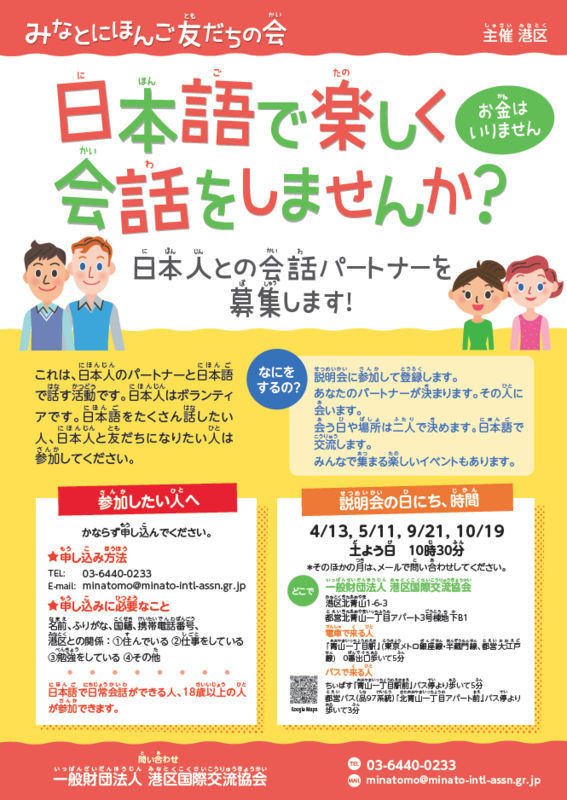 This is a Japanese conversation partner program fully supported by Minato City Office. It pairs foreigners learning Japanese with Japanese volunteers who can help them improve their Japanese communication skills. 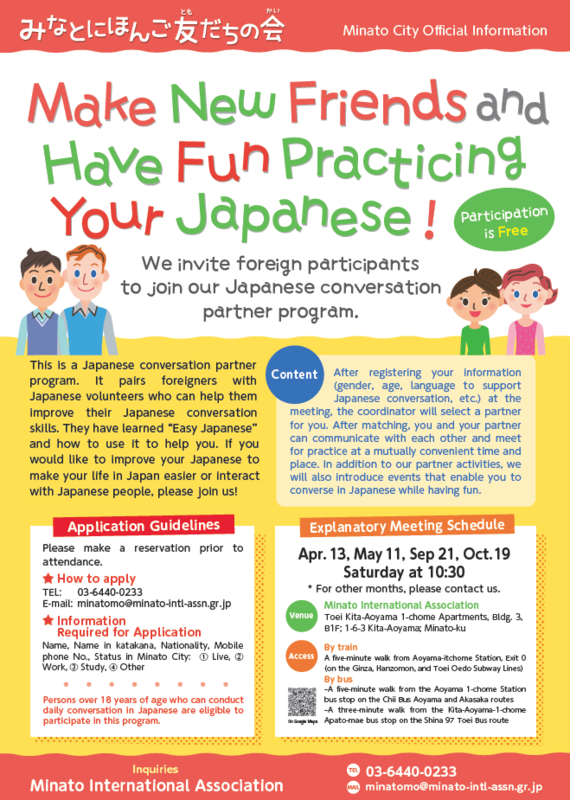 If you are looking for a Japanese-speaking partner to practice with, please join us! JAPANESE VOLUNTEER PARTNERS ARE WAITING FOR YOU! *Basic Japanese level is a must!